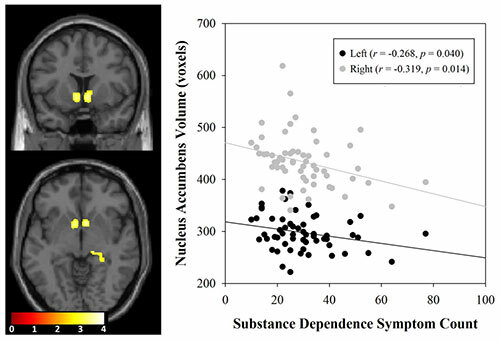 Stimulant drug abuse has long-term effects on brain volume in women, according to a new study published online in the journal Radiology. Brain structures involved in reward, learning and executive control showed vast changes even after a prolonged period of abstinence from drug use. "We found that after an average of 13.5 months of abstinence, women who were previously dependent on stimulants had significantly less gray matter volume in several brain areas compared to healthy women," said the study's senior author, Jody Tanabe, M.D., professor of radiology, vice chair of Research, and Neuroradiology Section Chief at the University of Colorado Denver School of Medicine. "These brain areas are important for decision making, emotion, reward processing and habit formation." For the study, Dr. Tanabe and colleagues sought to determine how the brains of people previously dependent on stimulants differed from the brains of healthy people. "We specifically wanted to determine how these brain effects differed by gender," Dr. Tanabe said. "While the women previously dependent on stimulants demonstrated widespread brain differences when compared to their healthy control counterparts, the men demonstrated no significant brain differences," Dr. Tanabe said. 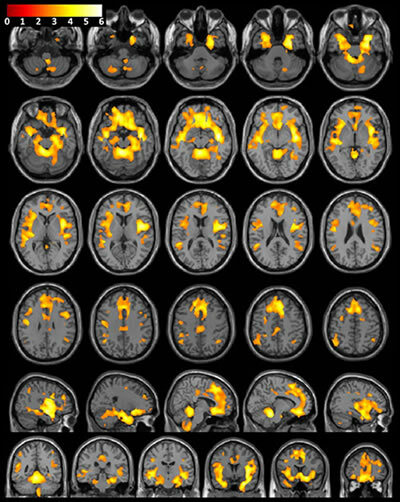 "Lower gray matter volumes in women who had been stimulant dependent were associated with more impulsivity, greater behavioral approach to reward, and also more severe drug use," Dr. Tanabe said. "In contrast, all men and healthy women did not show such correlations." According to Dr. Tanabe, the results may provide a clue to the biological processes underlying the clinical course of stimulant abuse in men and women. "Compared to men, women tend to begin cocaine or amphetamine use at an earlier age, show accelerated escalation of drug use, report more difficulty quitting and, upon seeking treatment, report using larger quantities of these drugs," she said. "We hope that our findings will lead to further investigation into gender differences in substance dependence and, thus, more effective treatments."